Their remains were found the following September. 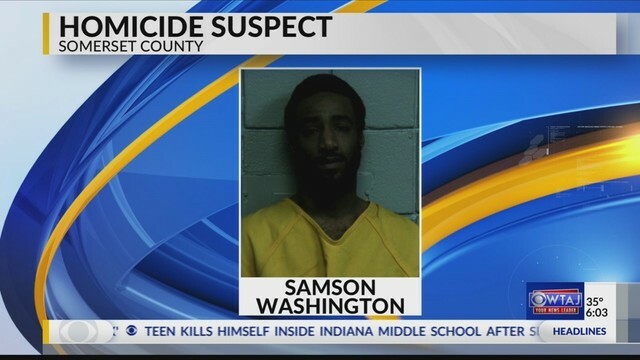 Somerset, Pa. - Pennsylvania State Police announced on Thursday that three men have been charged in relation to the murders of James Smith and Damian Staniszewski. “The disappearance and subsequent homicides of Mr. James Smith and Mr. Damian Staniszewki has been a complex, incredibly detailed investigation spanning nearly two years," State Trooper Cliff Greenfield said. Two of the three men arrested are from Ohio. Devon Wyrick and Samson Washington, both from Columbus, face multiple charges, including two counts of criminal homicide. Police also charged Joshua Bergmann, of Cresson Cambria County, with multiple charges, including aggravated assault and kidnapping. State police in Somerset allege that $17,000 and “a large amount “ of narcotics stolen from a suspected Johnstown drug dealer led to a plot to kill two men whose bodies a hunter discovered more than a year ago in rural Somerset County. State troopers charged Samson Washington, 26, and Devon Wyrick, 24, both of Columbus, Ohio, with homicide, kidnapping, and multiple related charges. Joshua Bergmann, 39, of Cresson, is charged with kidnapping and conspiracy to commit aggravated assault in connection with the deaths of Damian Staniszewski, 19, of Duncansville, Blair County, and James Smith, 32, of Portage, Cambria County, according court documents . Authorities held a news conference in Somerset on Thursday. A hunter on Sept. 29, 2017, found the remains of Staniszewski and Smith in a wooded area around Ligonier Pike in Conemaugh Township in rural Somerset County. An autopsy found that both men had been shot in the head and suffered blunt force trauma, court records state. According to criminal complaints filed this week by Trooper Scott Kemerer, authorities believe Staniszewski and Smith burglarized a Johnstown “stash house” allegedly run by Washington where he kept money and narcotics. Kemerer said investigators used multiple informants during the investigation.